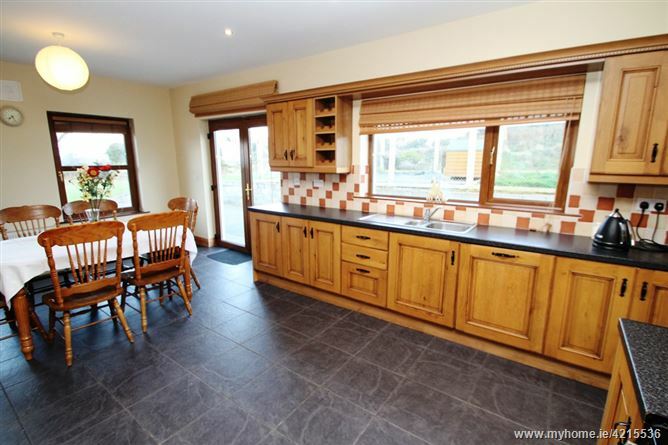 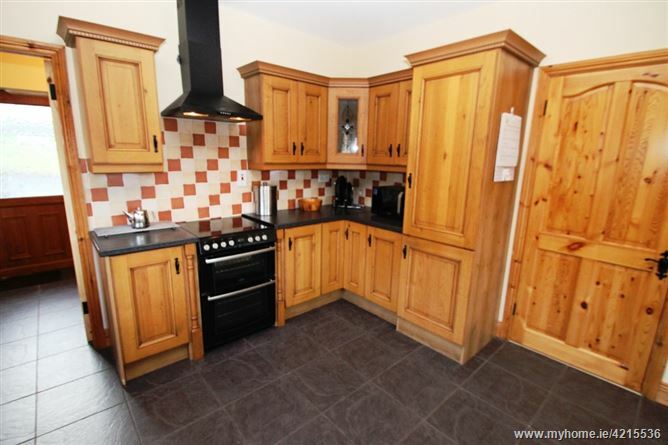 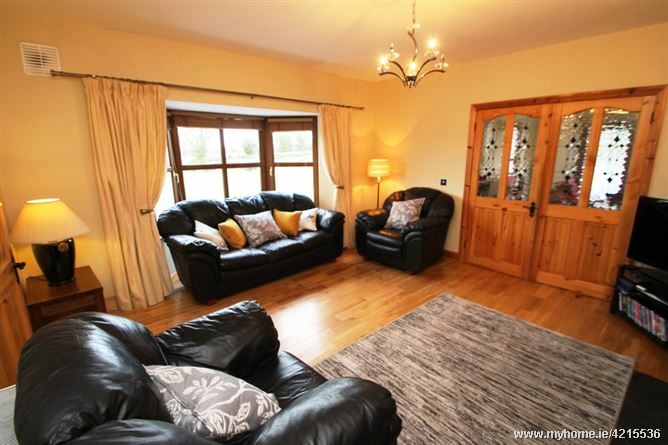 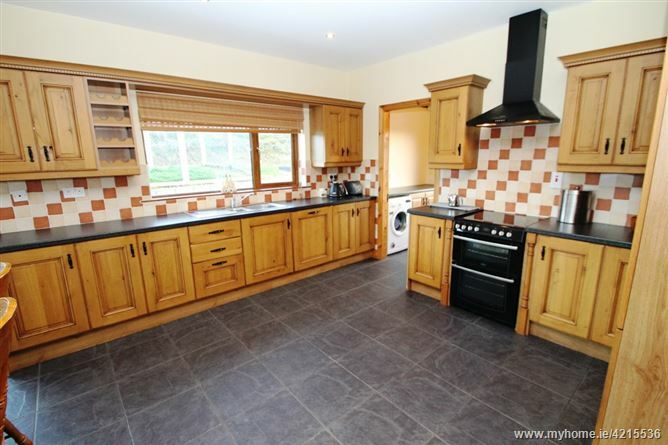 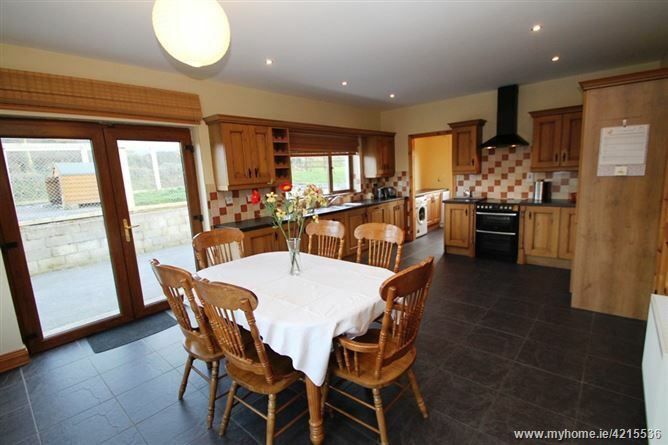 Ennis Gough property are delighted to bring this 4 bedroom bungalow to the market. 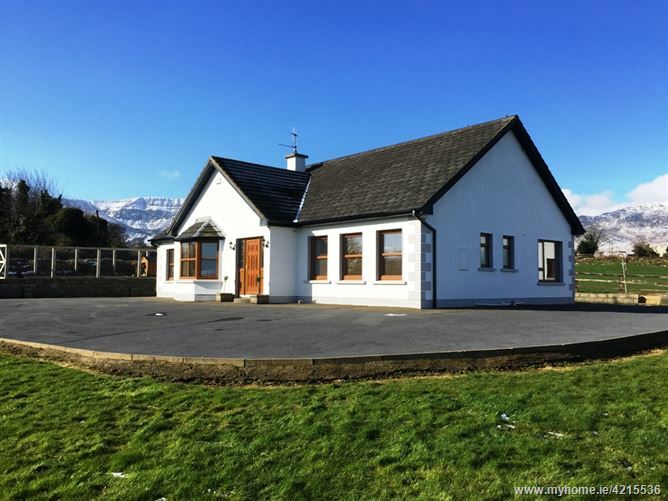 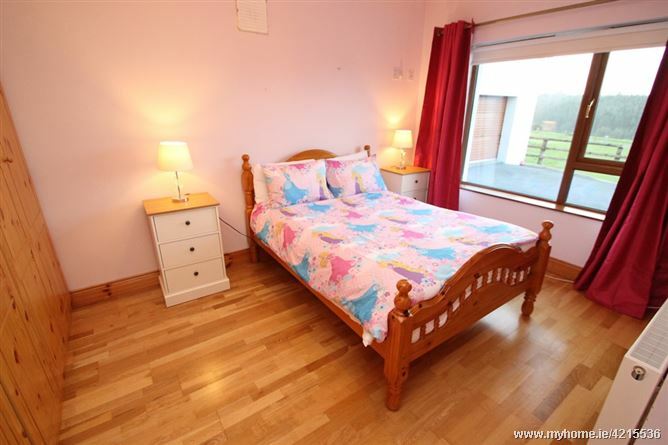 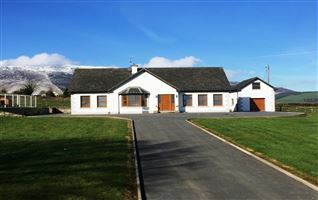 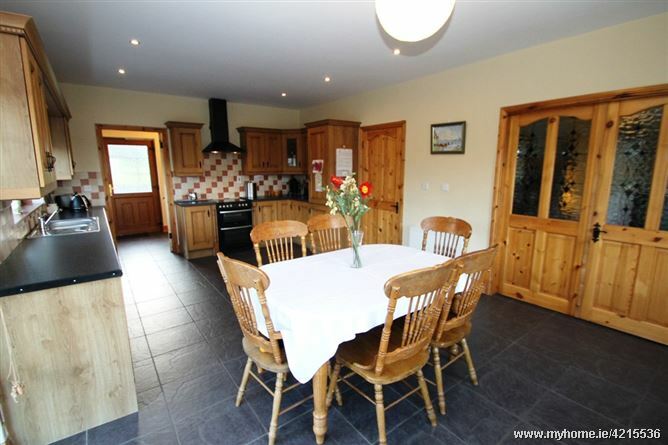 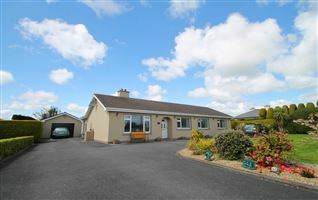 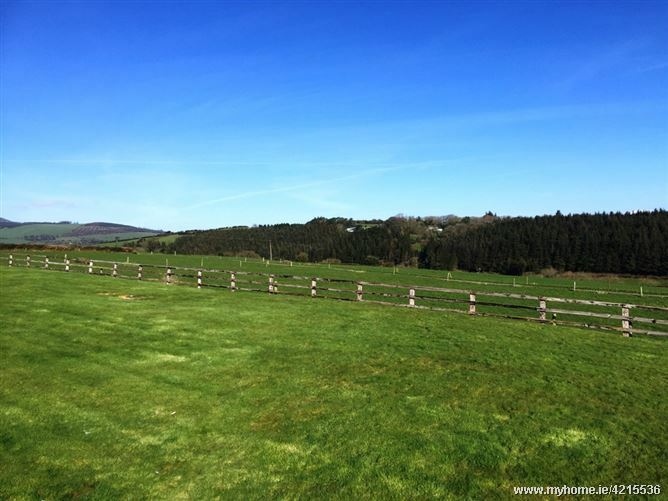 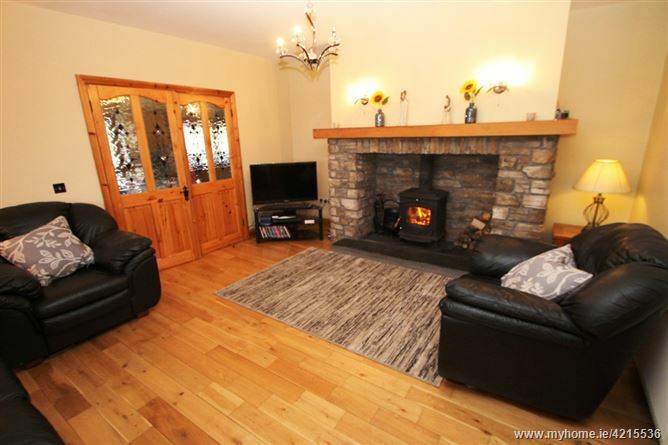 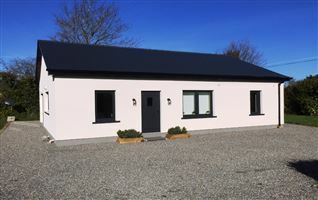 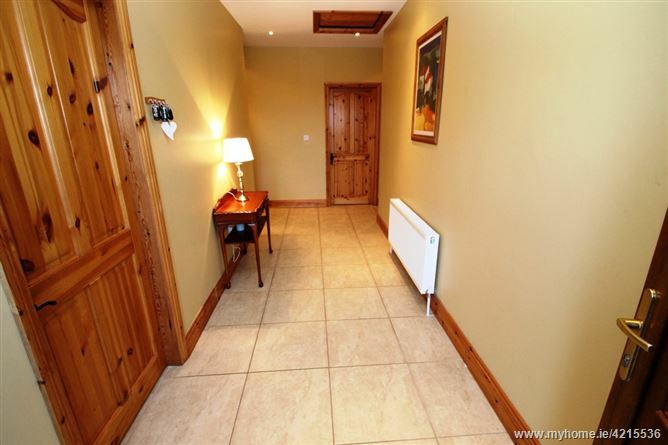 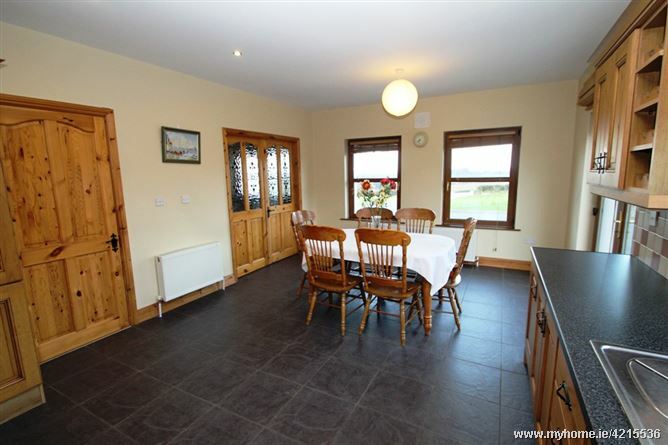 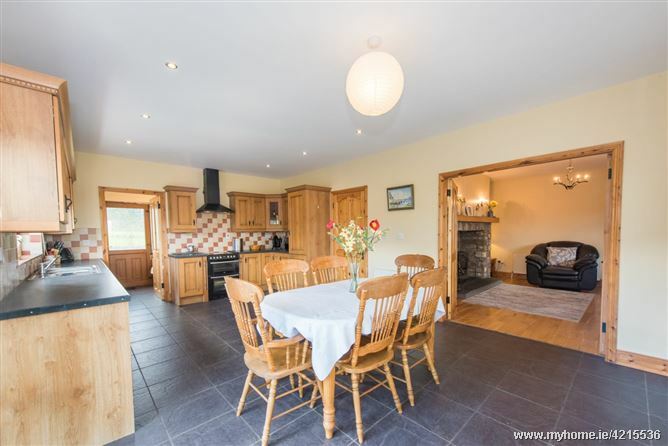 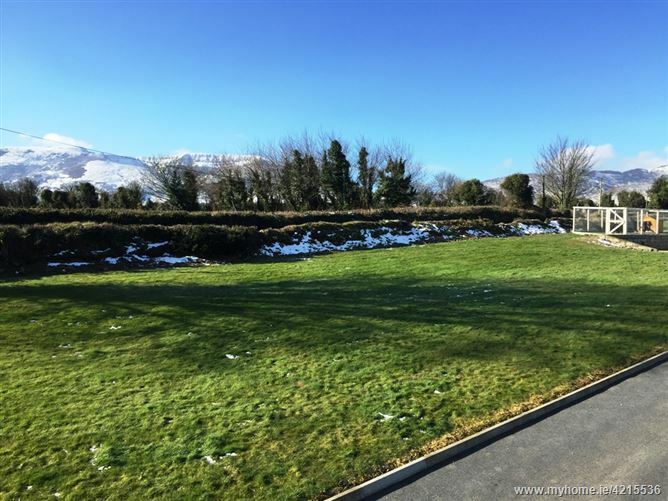 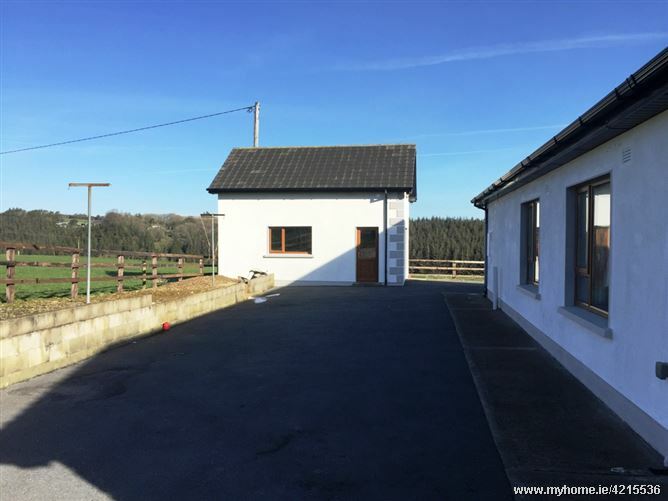 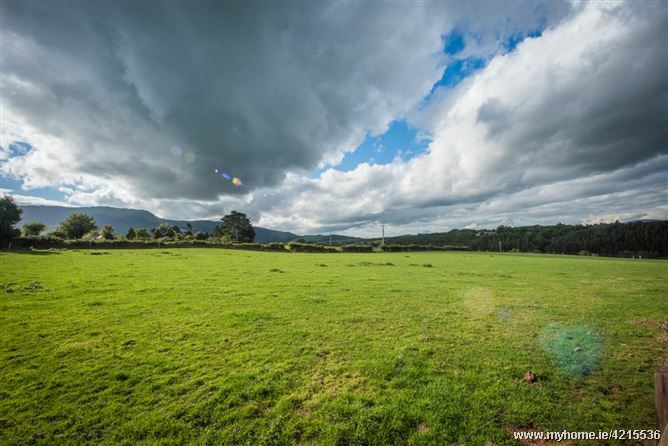 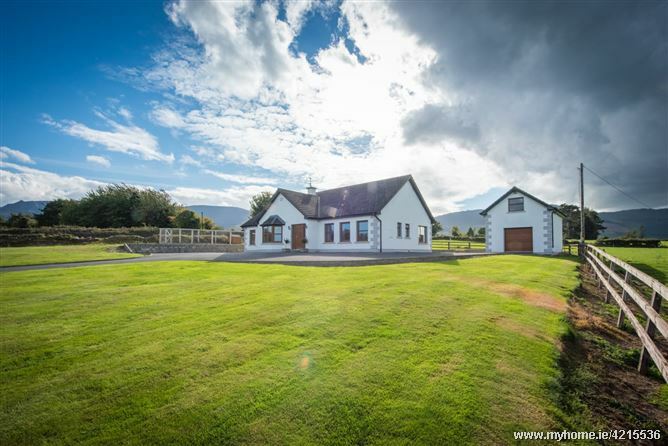 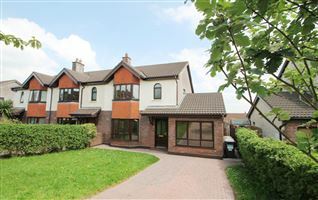 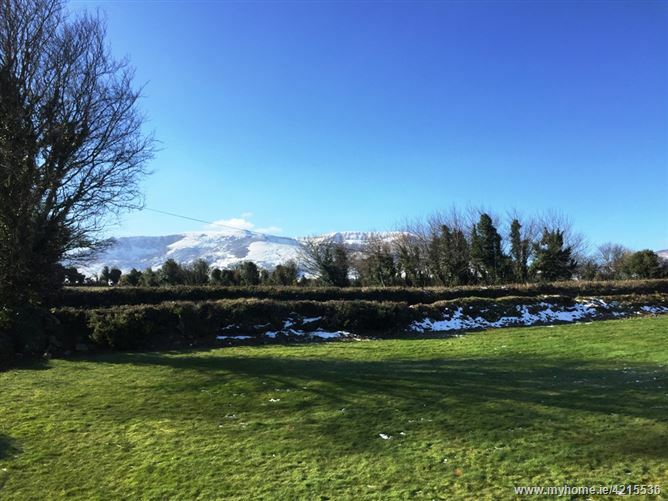 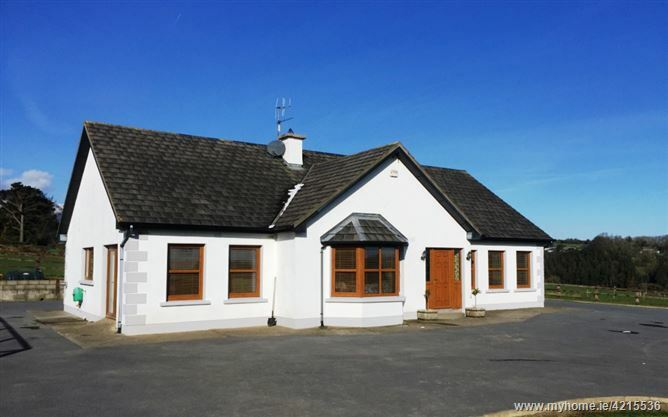 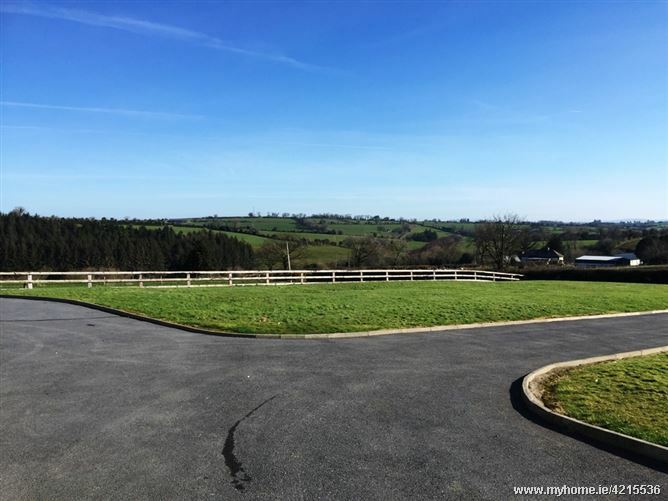 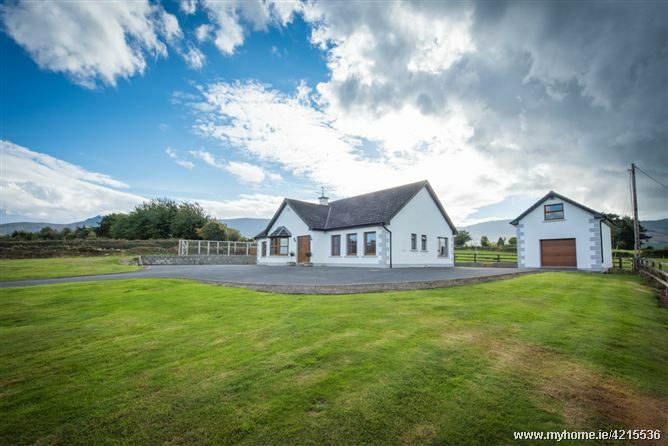 Nestled at the foot of the Comeragh Mountains, this property is 1.5km from the village of Rathgormack. 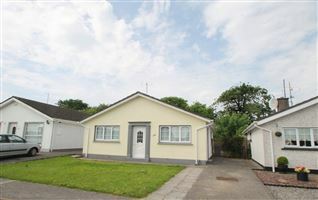 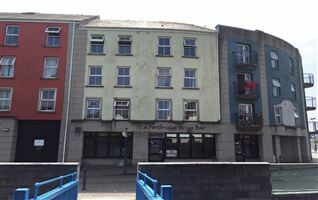 Set on a 0.75 of an acre site with 1700 sq ft of living accommodation, this property is worth viewing ! 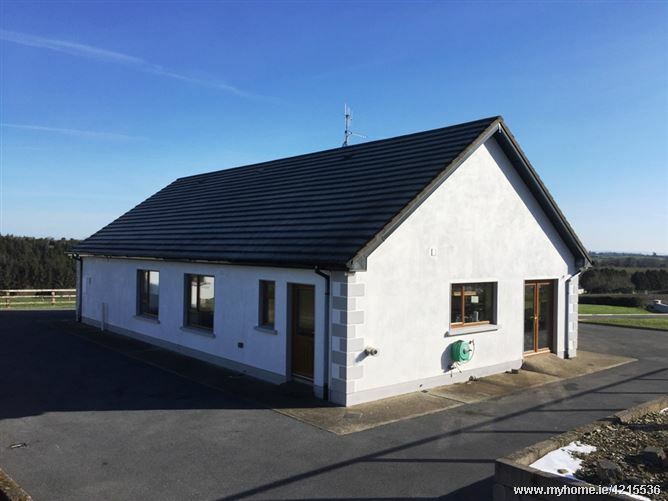 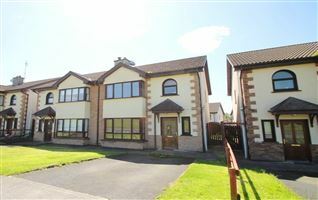 Built in 2006 this well laid out property is finished to an exacting standard, to the front of the property is a block-built entrance wall with tarmacadam driveway and large lawn. 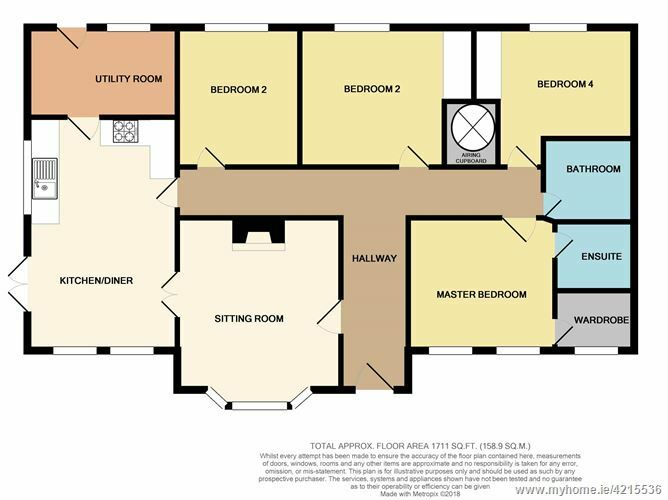 There is a spacious two storey garage with stira stairs to the first floor, which could be used as a gym, workshop or as additional storage. 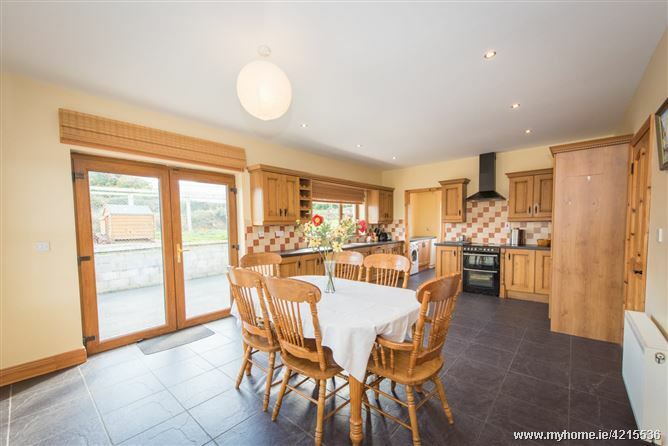 Internally there is a spacious living room with a feature fireplace and solid fuel stove, French doors lead to the bright kitchen dining room off which is a functional utility room. 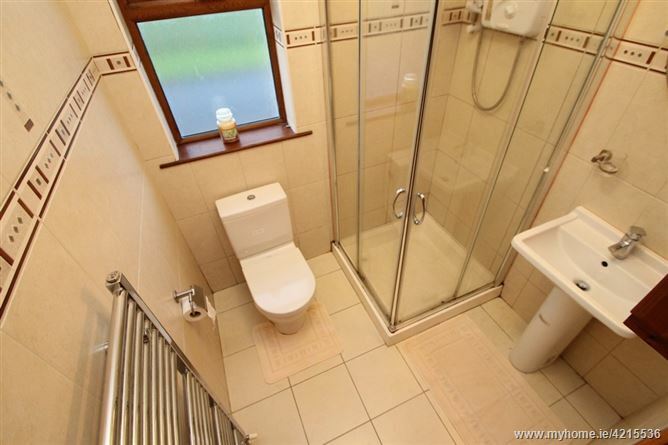 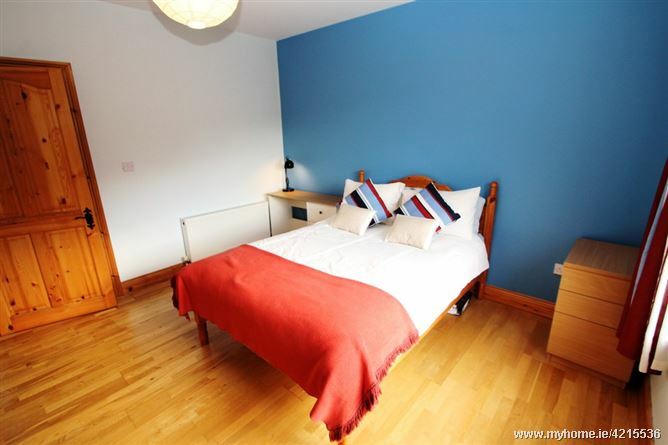 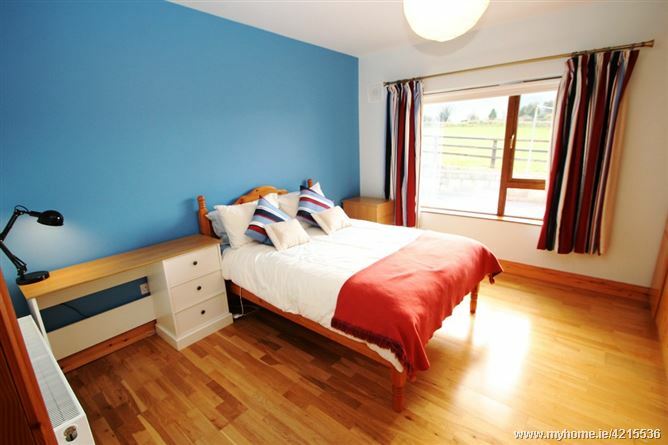 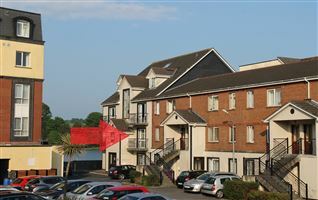 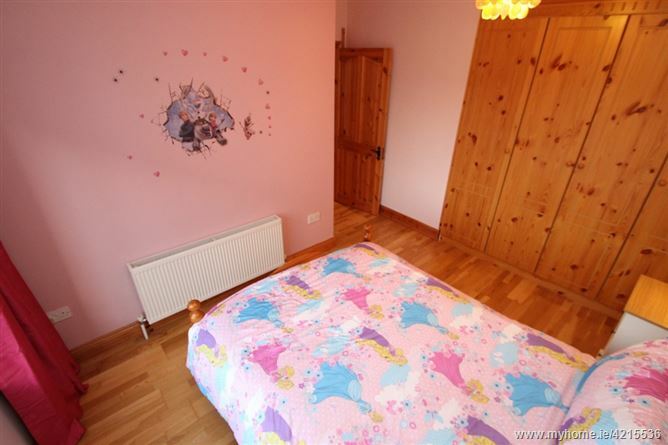 There are four double bedrooms, the master bedroom has a walk-in wardrobe and ensuite. 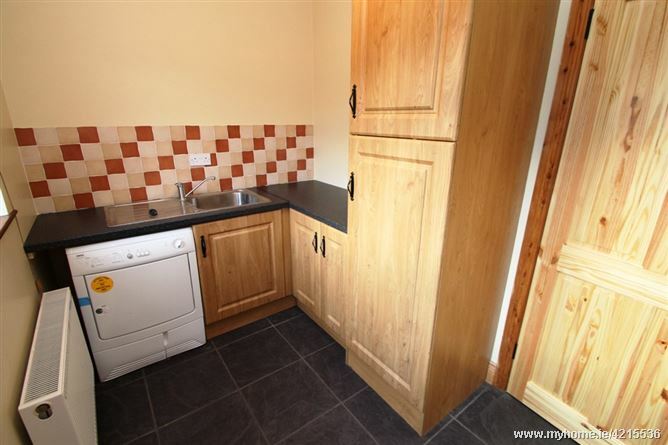 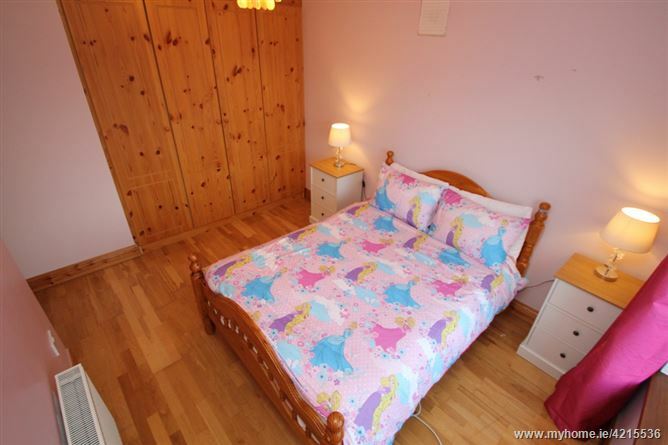 The three other bedrooms have built in wardrobes. 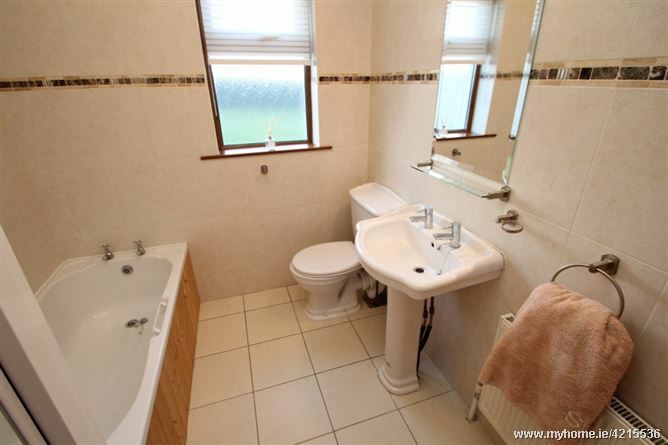 The family bathroom is tastefully floor and wall tiled. 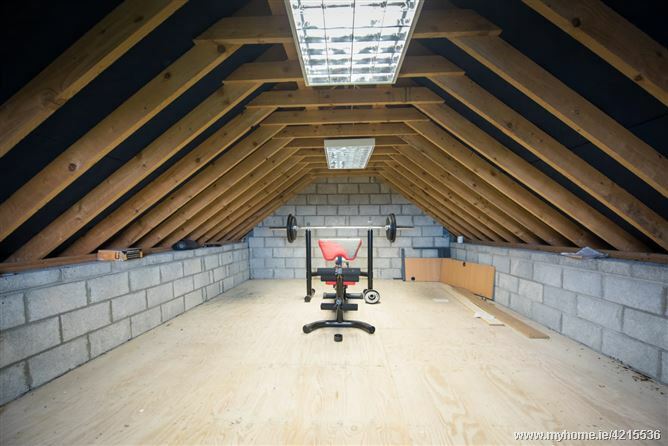 The attic has 800 sq ft of storage, this is at a 35-degree pitch and ready for conversation into living space if so required. 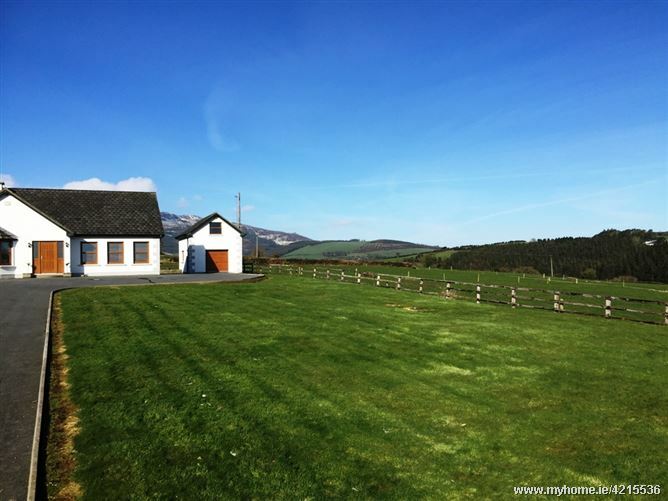 The village of Rathgormack has a population of c.1200 people, there is a sought after primary school, church, local shop and public house. 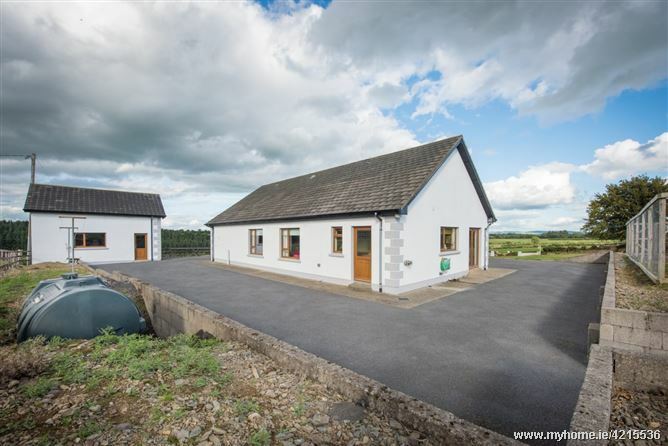 There are also a wide selection of sporting amenities locally including GAA, a badminton club, fitness classes and a hill walking club. 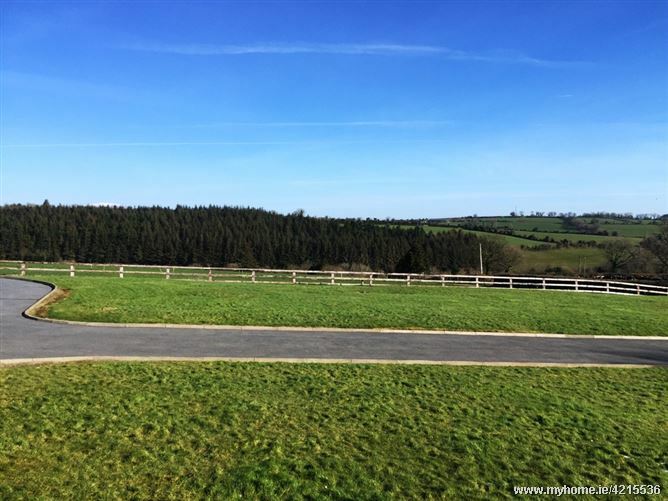 The Waterford Greenway is 15 minute’s drive. 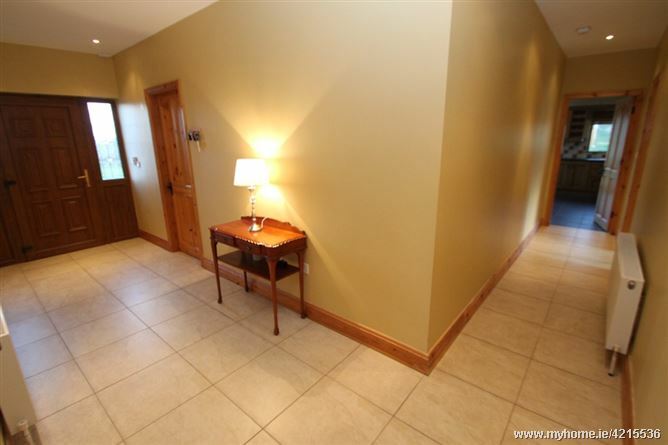 Tastefully filled with recess spot lighting. 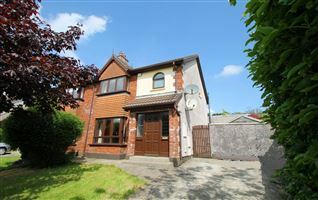 Front facing with a bay window, dressed with timber blinds and curtains. 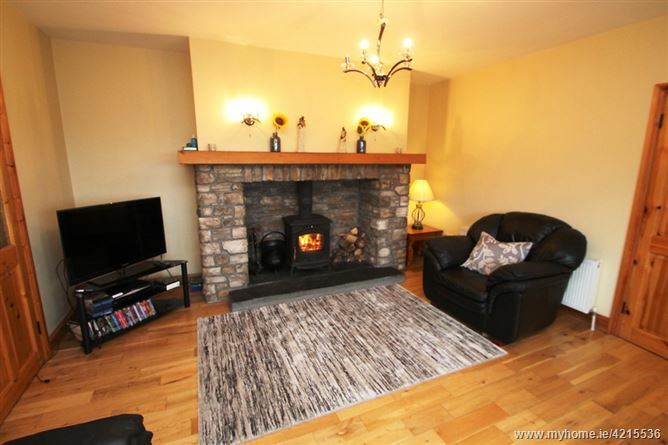 The stone built fireplace with the slate hearth is a feature of the property and it houses the Stanley solid fuel stove. 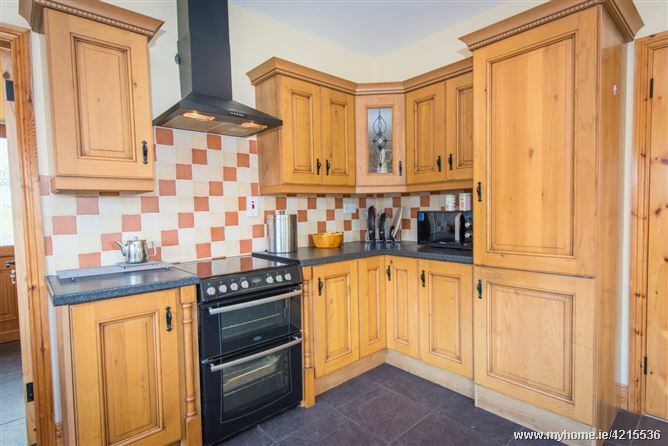 Fully fitted shaker style solid wood kitchen, complete with integrated dishwasher and fridge freezer, freestanding oven and hob and extractor fan. 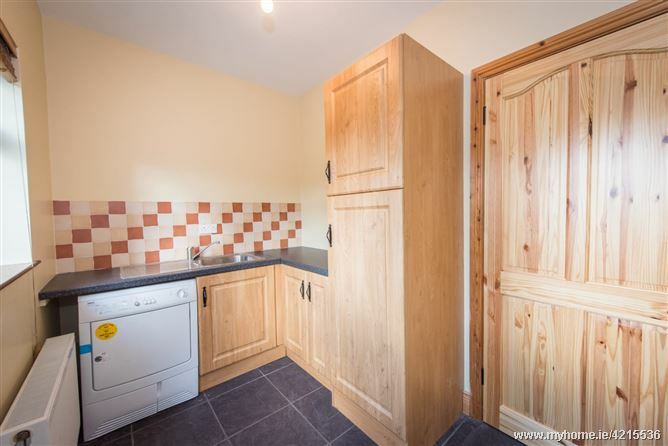 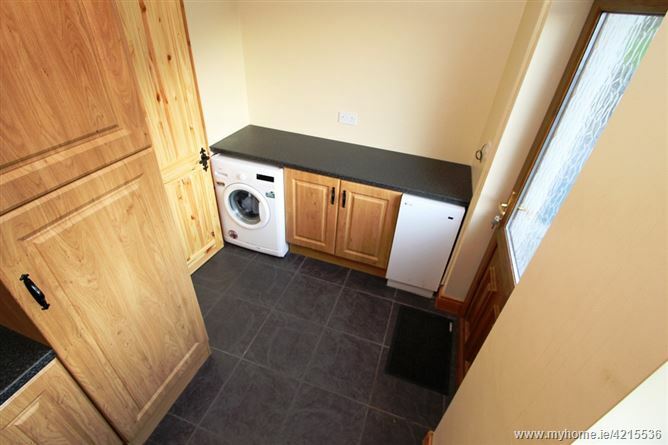 Double doors lead to the side of the property and washing machine and dryer are located in the utility room which has additional storage. 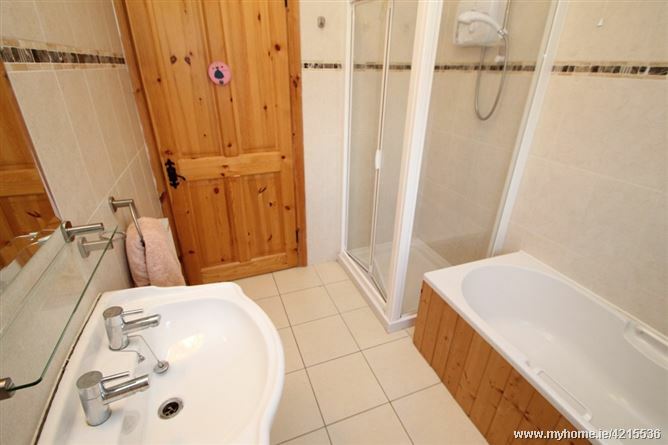 The master bedroom has timber flooring, a ensuite which is fully tiled with upgraded sanitary ware and corner shower unit. 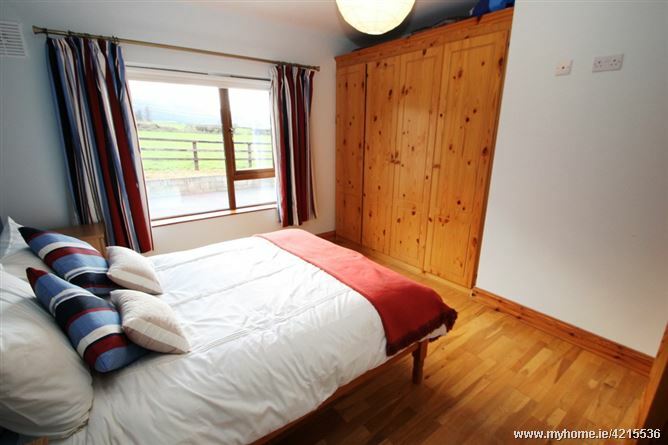 There is a walk-in wardrobe with ample storage. 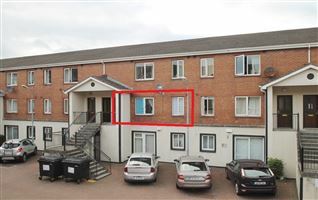 The tilt and turn windows are complemented with timber blinds and curtains. 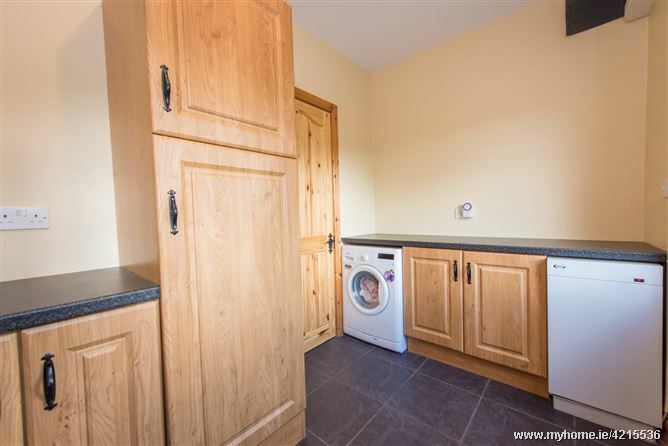 Timber effect flooring, built in wardrobes. 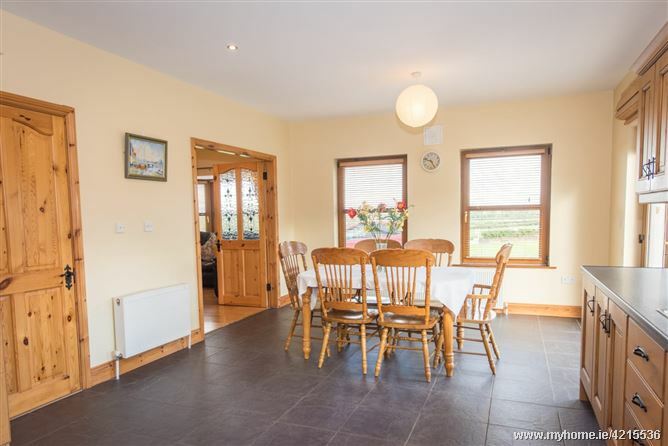 Tilt and turn windows complemented with a blind and curtains. 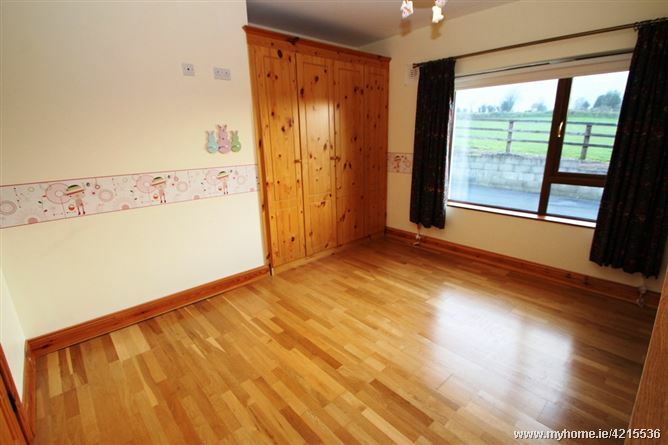 Timber effect flooring, built in wardrobes. 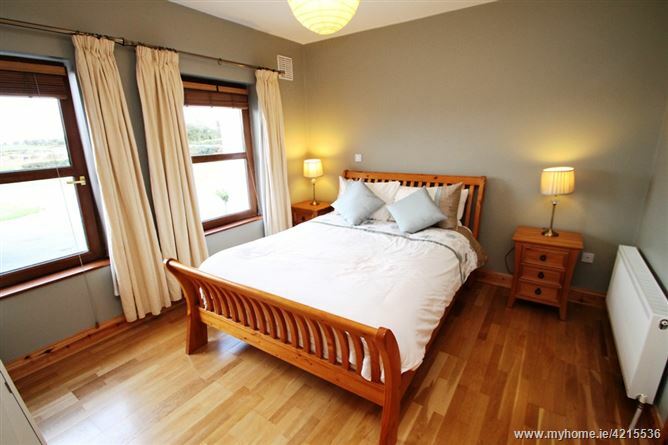 Tilt and turn window complemented with blinds and curtains. 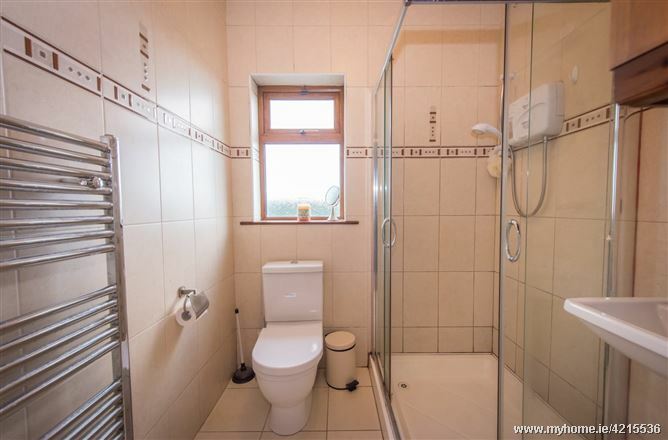 Fully floor and wall tiled, upgraded sanitary ware, corner shower unit, bath with telephone shower extension.